The night before Thanksgiving seemed like the perfect time to FINALLY start blogging about my home state’s unique and mouthwatering food – especially since we are all in full blown cooking mode tonight! My husband, Shannon, and I both grew up in a very tiny (one traffic light tiny) Cajun town in the heart of Louisiana. Our hometown draws tourists from all over the world because of it’s one-of-a-kind culture, Cajun music, and Mardi Gras festivities. Since we were 4 years old, our families have lived on the same block. 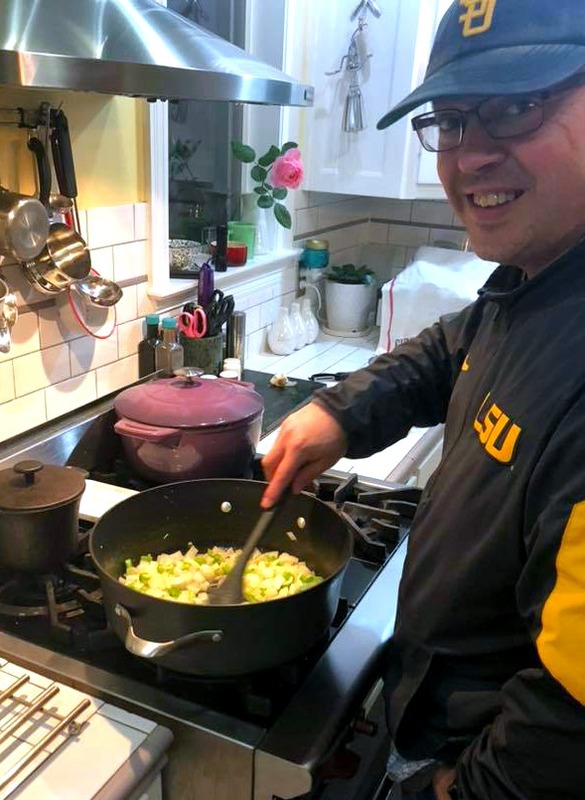 Well, my mom is the most amazing cook, and she and my father-in-law taught Shannon and I just about everything we know about Cajun cooking. 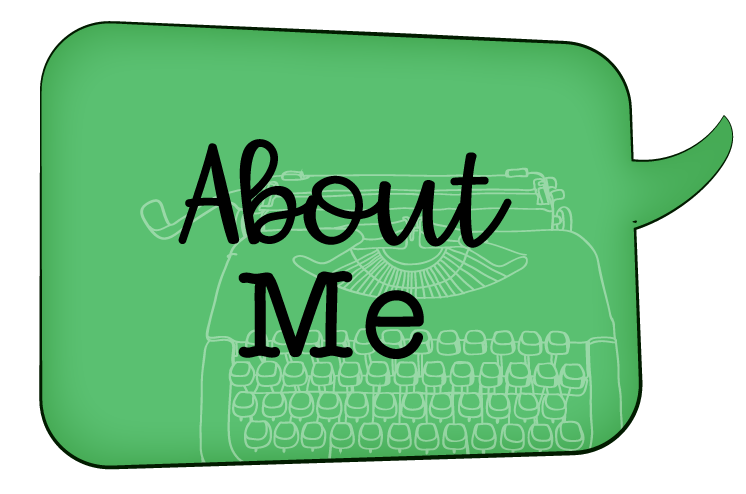 Fun fact: BOTH my husband’s and my parents’ first language was French. 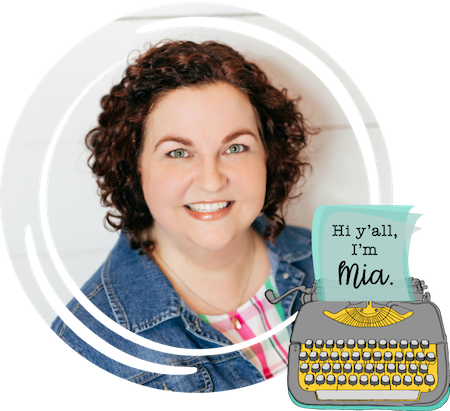 In honor of my mom and in memory of my loving father-in-law, I will be sharing our delectable local food, fun traditions, wild culture, and anything else Cajun-ish that comes along. Welcome to our Louisiana kitchen! 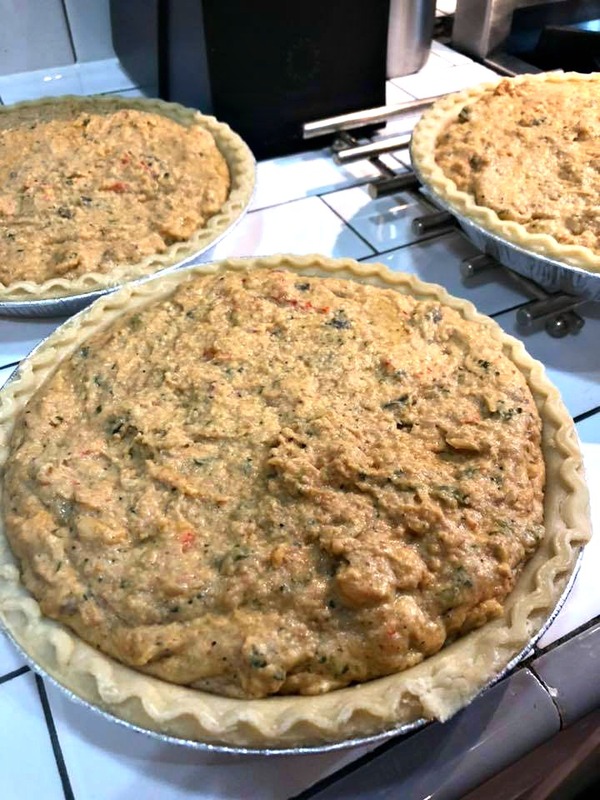 Tomorrow we are headed to Mamou with our contribution to the Thanksgiving meal…CRAWFISH PIE! Seasoning blend ( I use Tony Chachere’s, Slap Ya Mama, or T-Boy’s Cajun Seasoning) or salt and pepper if you prefer less spice. I really like to add Old Bay Seasoning to taste as well. 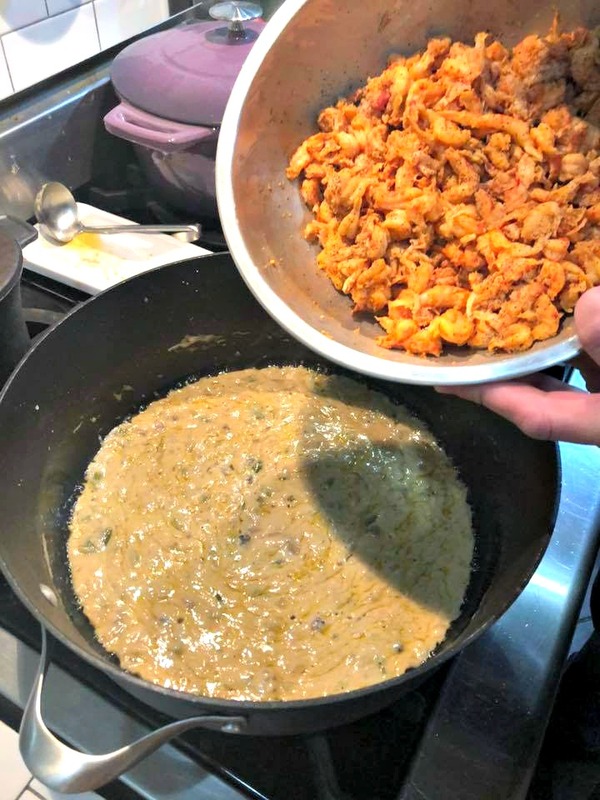 Before I get started, I have to give a shout out to Katie Sample and her mom, fellow Cajuns who shared this recipe with me. They brought my family one of these pies while I was recovering from neck surgery, and that was it – we were all hooked. 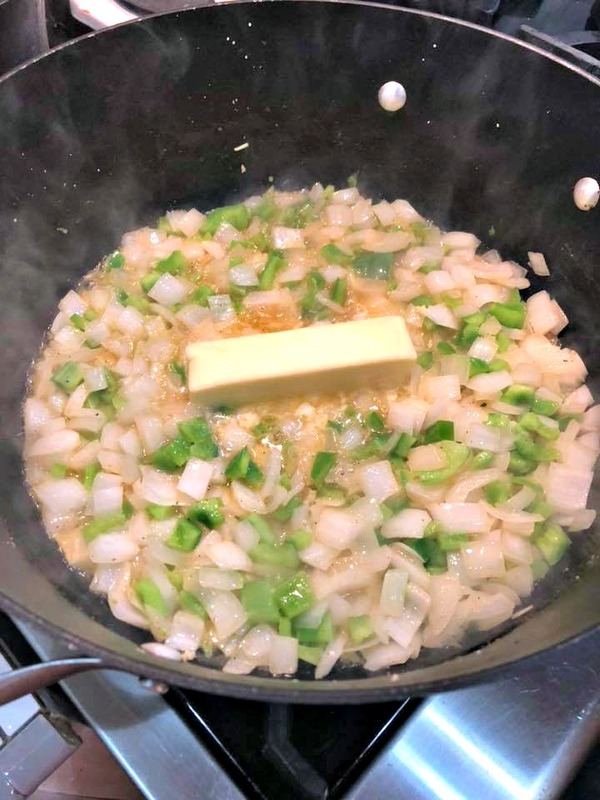 Heat a saucepan (high-medium high) and throw in a stick of butter. Add the chopped onions and bell pepper. Also, add minced garlic. Season lightly with the seasoning blend or salt and pepper. 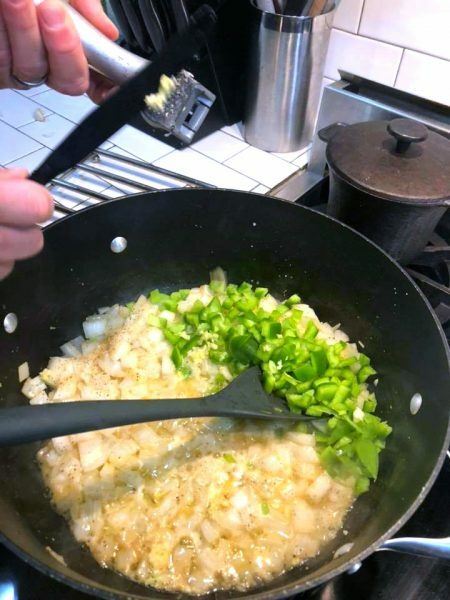 Saute’ and stir until the onions are transparent. As you can see, I had a helper for that. 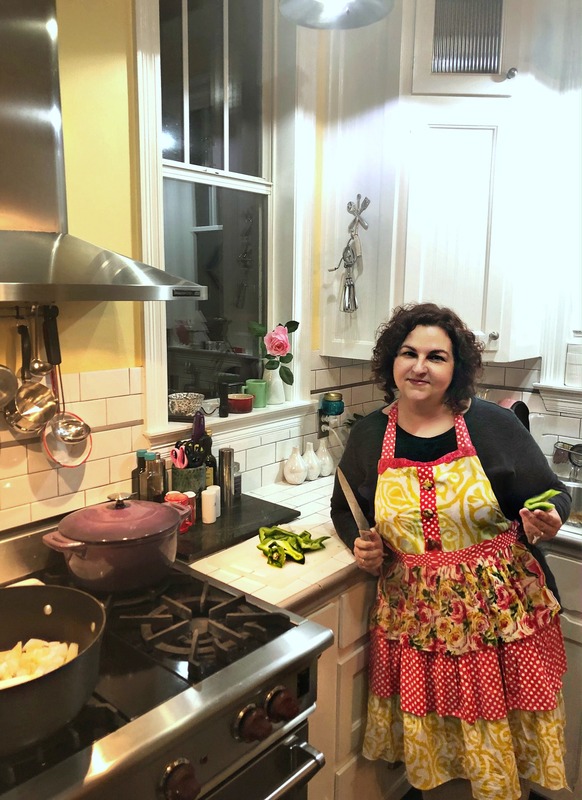 Actually, my husband, Shannon, does most of the cooking. He’s a phenomenal cook! 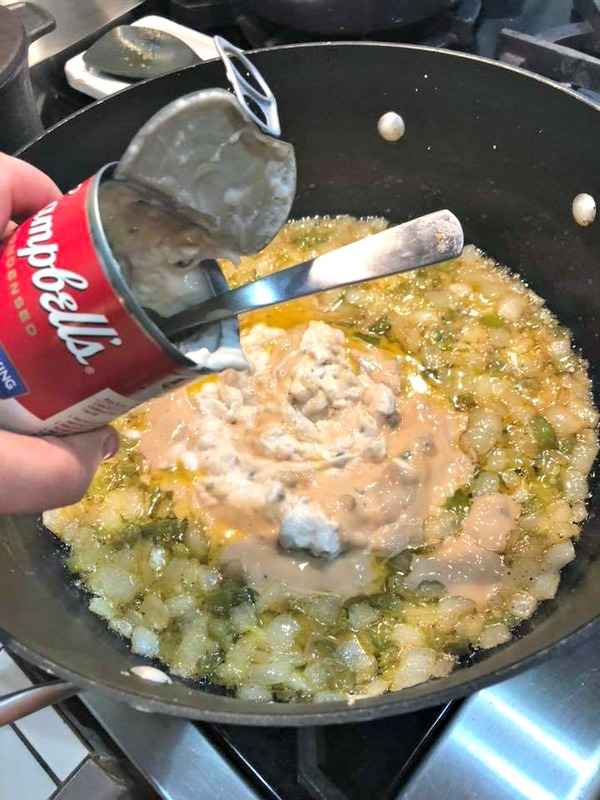 Once the veggies are nice and soft, add the can of cream of mushroom! Stir on medium-ish until it’s completely mixed (about 20 minutes). While you wait, season the crawfish tails a bit. 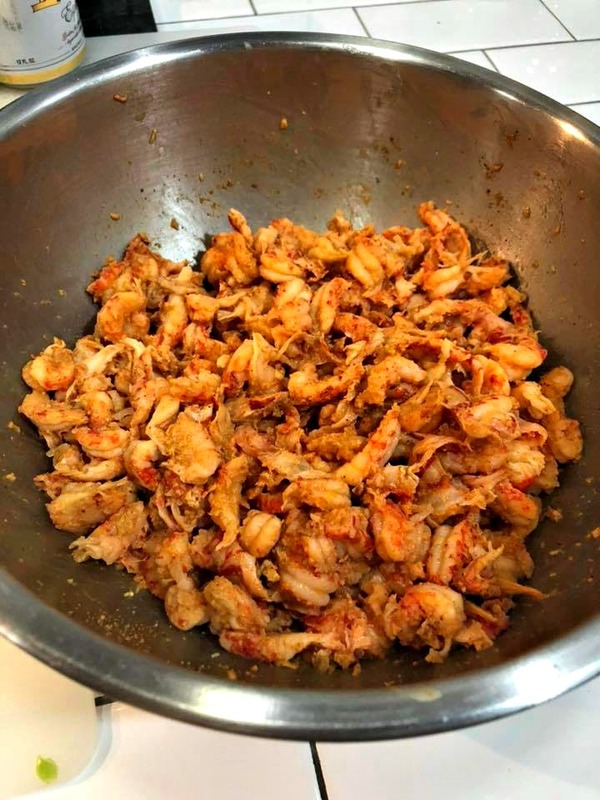 If your crawfish tails look unclean, rinse them under water water before seasoning. We stick to Louisiana farmed crawfish, but if you can’t find that, Chinese crawfish can be substituted. Just don’t tell my fellow Cajuns I said that. 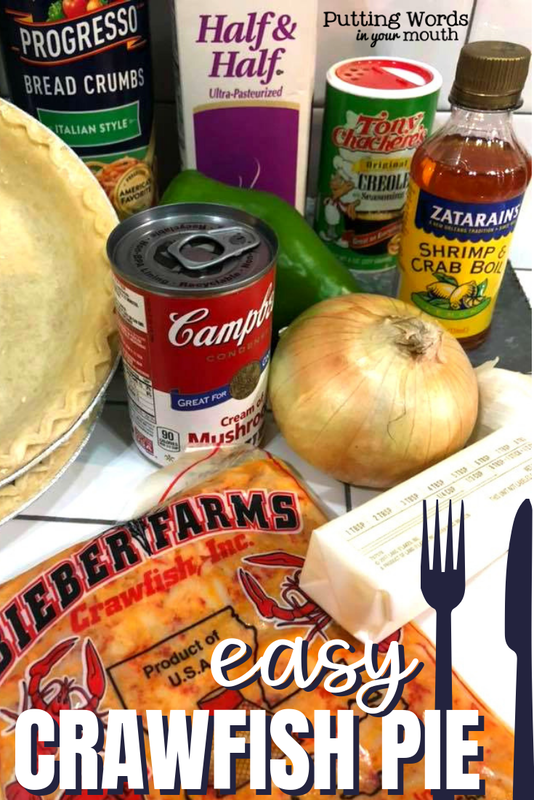 You can also use crabmeat or shrimp if you can’t get your hands on crawfish. Crawfish are typically in season from January/February through March/April. 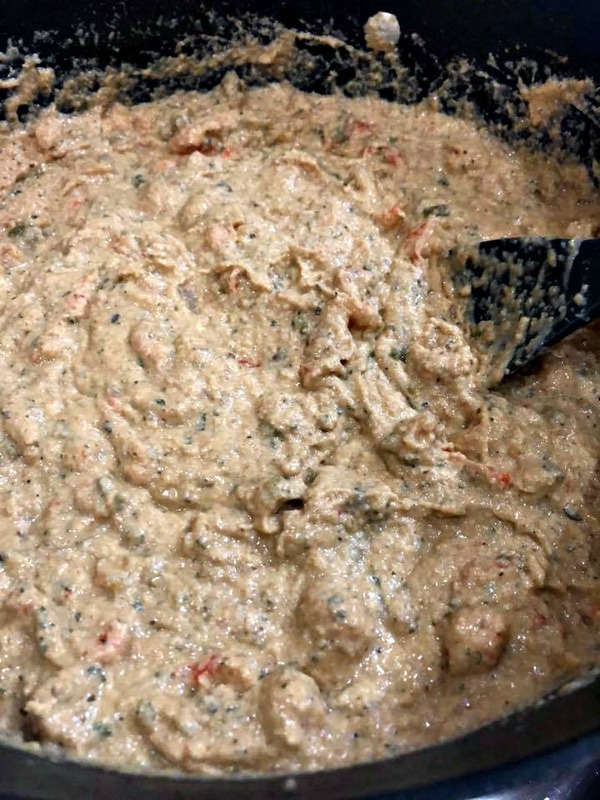 Once the sauce is creamy thoughout, add the crawfish, and fold them into the sauce. Keep fire on medium to medium-high. Crawfish cook very quickly! After about 5 minutes in a hot pot, add the rest of your ingredients (the half and half, bread crumbs, and crab boil). Stir until it becomes thick, and lower heat. It doesn’t look pretty, but boy does it taste good!! It creates a wet stuffing. Spoon the mixture into the pie crusts. I may have overfilled these pie shells, but who cares, right? 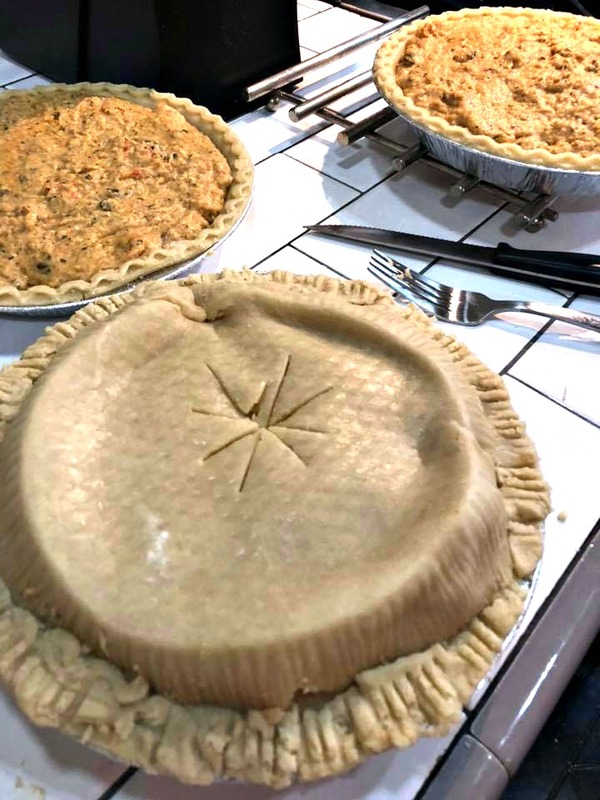 Use the second pie crusts (they usually come 2 per pack) to create a top crust. 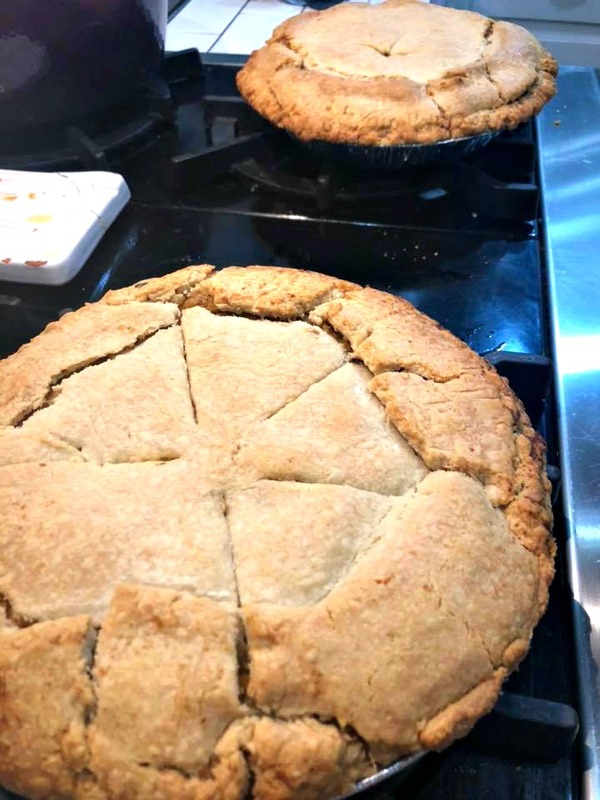 Just flip them over to cover your pie, and use a fork to marry the top pie crust to the bottom crust. As you can see, it doesn’t have to be pretty. In fact, Cajun cooking is never elegant or refined – just unapologetically delicious. Cut some slits into the top of the pie. 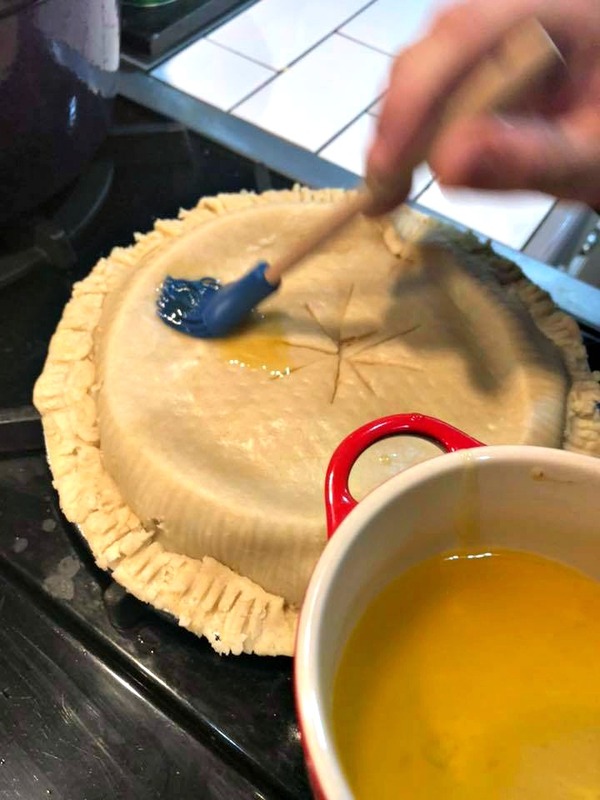 I did a terrible job, but I’m sure you can do better 🙂 Baste the top of the pie crust with a little butter. 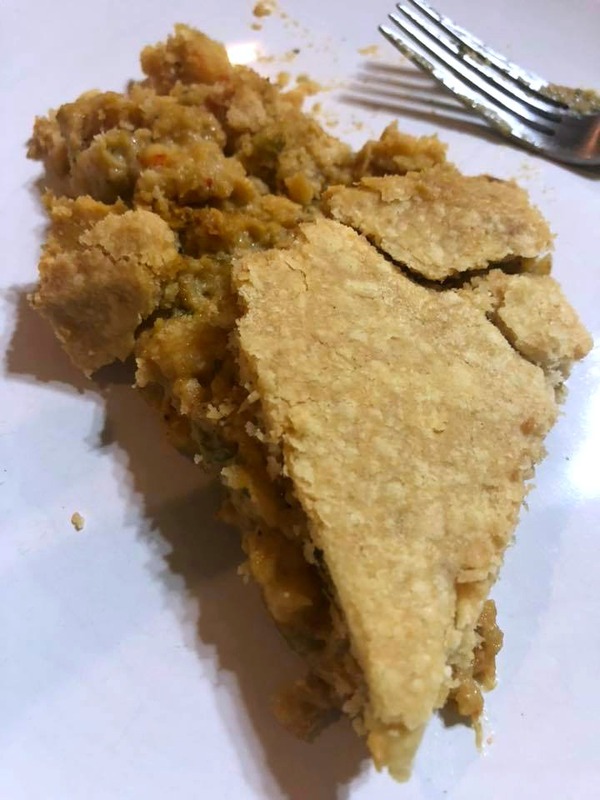 I mean, what’s a little more with all we’ve thrown into this pie so far? Bake for 45 minutes (or until the crust is golden brown) at 350 degrees. 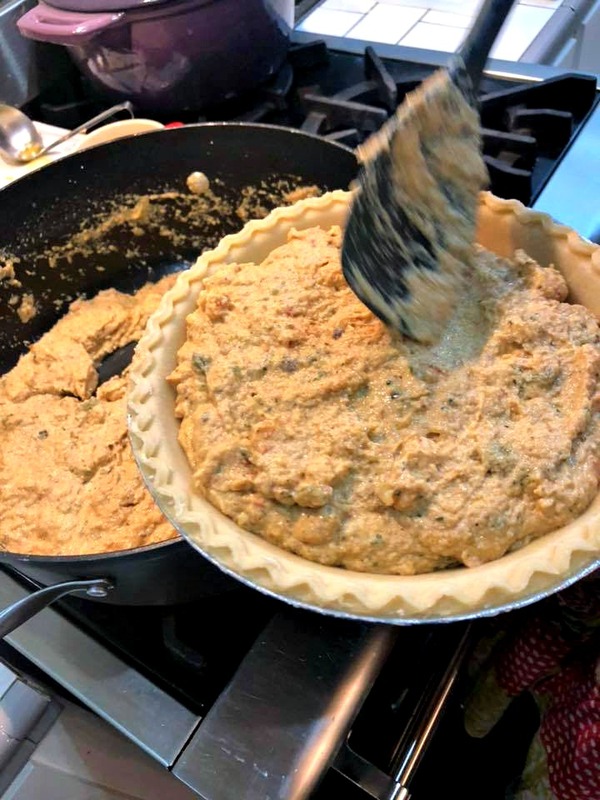 If you make your own pie crust, more power to you!! These caved in, but that didn’t make them taste any less incredible. We were so excited to dive into them, that I forgot to take a picture of the slices. This is the best shot I managed to snap of the last piece! Oops! We’ve decided we may add some celery and celery salt next time! 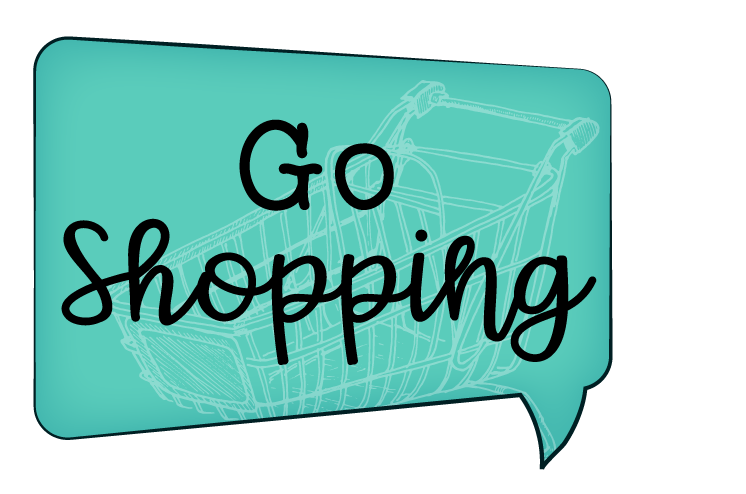 We love to improvise! Serve this pie hot, and rest assured, it warms up wonderfully in the microwave. It is very rich so even just one slice feels hearty!